The new website contains downloadable, broadcast-quality videos, photographs and more. Walnut Creek, CA – The Contra Costa Transportation Authority (CCTA) announces today the official launch of Story Through Images, a web feature devoted to celebrating the recently-completed Highway 4 Widening Project and ongoing BART construction project, a $1.3 billion investment in infrastructure in Eastern Contra Costa County. Featuring dramatic visual imagery and video interviews, Story Through Images takes the viewer on a journey through the construction project with a chapter-by-chapter narrative. This new web feature showcases high-resolution photographs depicting construction along the corridor– from dramatic “lifts” of enormous pedestrian overcrossings, to a time-lapse video showing the construction of the new Hillcrest Station in Antioch. Also included are video testimonials from CCTA officials and some of the residents and local business owners whose lives have improved because of the project. Among the five photographic chapters are Loveridge Road, Somersville Road, Contra Loma Boulevard, Lone Tree Way, and Hillcrest Avenue. Combined, these five chapters of photography, videography, and written narrative demonstrate a new and visually compelling way to communicate the riveting story of this critical investment in East County’s infrastructure. Highway 4, an important artery spanning nearly all of Contra Costa County, was for years one of the worst commutes in the Bay Area. 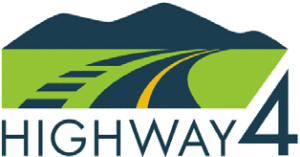 The Highway 4 Widening Projects include the expansion of the highway from four to eight lanes betweenLoveridge Road in Pittsburg to just west of State Route 160 in Antioch and from two to four lanes from Lone Tree Way to Balfour Road in Brentwood. The projects also added connector ramps at the State Route 160/Highway 4 interchange and will add a BART extension from Pittsburg to Antioch. CCTA funded more than a quarter of the project ($362 million) through Measure J, a half-cent sales tax reauthorized by Contra Costa voters in 2004, and through the previous Measure C. Those local sales tax dollars leveraged the remaining funding needed to complete this $1.3 billion dollar investment. For additional information about the Highway 4 Widening Projects, please visit the website at www.4eastcounty.org. The Highway 4 Corridor Projects include improvements that will help modernize eastern Contra Costa County. The projects expand Highway 4 from four to eight lanes between Loveridge Road in Pittsburg to just west of State Route 160 in Antioch and from two to four lanes from Lone Tree Way to Balfour Road in Brentwood, add missing connector ramps at the State Route 160/Highway 4 interchange and add a BART extension from Pittsburg to Antioch. This will greatly improve transit accessibility for the region, help reduce traffic congestion and enhance the quality of life for the more than 250,000 residents of eastern Contra Costa County. The projects have been carefully staged to keep 130,000 vehicles per day moving as major construction and demolition work continue. These projects, plus previously constructed projects in the region, will bring the total investment in East County to $1.3 billion, including State, Federal, Contra Costa Transportation Authority Measures C and J, regional bridge tolls and other funds.